Our goal is one-hundred percent customer satisfaction, so if you are unhappy with your order please contact us. As we provide personalised goods, however, we cannot accept returns unless we have made a mistake or the garments are faulty. Please return any faulty goods to us within 30 days of receipt for investigation. Please be aware The Distance Selling Regulations Act of 2000 does not apply to 'personalised goods or goods made to a consumer's specification'. 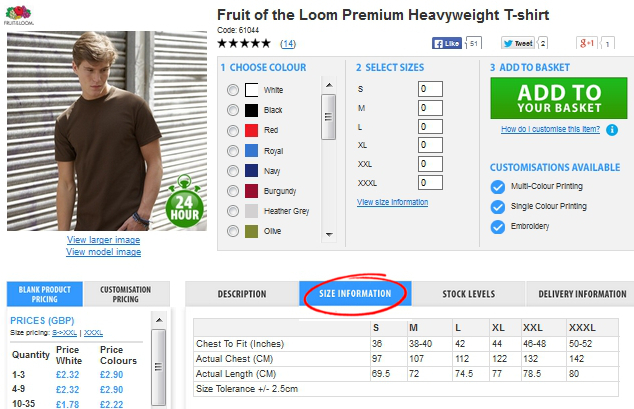 As we supply personalised goods,please be careful to check product size information before placing your order.